The Kurdistan Region Prime Minister, Nechirvan Barzani, yesterday received Paolo Gentiloni Italy’s Foreign Minister and his accompanying delegation. In the meeting, Prime Minister Barzani highlighted the latest developments in the war against the Islamic State terrorist organisation, known as ISIS, and the recent Kurdistan Peshmerga victories in Sinjar and its surrounding. He conveyed the gratitude of the Kurdistan people and government to the United States, European Countries and members of the international coalition for their support to Peshmerga forces. The Prime Minister explained how the impacts of the coalition airstrikes have changed the balance of the war and highlighted Peshmerga forces resilience in the fight against terrorism. The Prime Minister also explained the dire situation of more the 1.5 million internally displaced and refugees, who fled ISIS violence and took refuge in Kurdistan Region. He urged the international community and the United Nations to provide assistance as soon as possible, especially with the arrival of winter season their conditions will become harder. Prime Minister Barzani conveyed his gratitude to Italy’s Prime Minister and the chief of staff of the Italian army for visiting the Kurdistan Region following the ISIS onslaughts in August and conveyed his personal greetings to his counterpart. Prime Minister Barzani pointed out that the KRG needs Italy’s support to encourage the international community and Europe to help the Kurdistan Region in its effort to obtain recognition of the crimes committed by ISIS against the Yezidi Kurds as genocide. In another part of the meeting, the Prime Minister highlighted the recent breakthrough agreement reached early this month between Erbil and Baghdad, hoping that it will pave the way for resolving the rest of the outstanding issues in a realistic way. He also reiterated the Kurdistan Region’s support for the new Iraqi Prime Minister and his government. The Italian Foreign Minister lauded the Peshmerga forces for their recent victories in Sinjar and its surrounding areas and noted the important role of Peshmerga in the international coalition against ISIS, adding that his country will continue to support the Kurdistan Region. He also pointed out that the number of Italian military advisors, currently training Peshmerga forces, will be increased in the near future, stressing that Italy will continue to support the Kurdistan Region both directly and within the international coalition. Mr. Gentiloni also noted that Italy can help the Kurdistan Region in the reconstruction process of the ISIS held territories, once liberated, stressing that Italy has significant experience in reconstruction and restoration. Regarding Italy’s presence in the Kurdistan Region, the Foreign Minister hoped for their diplomatic representation office in Erbil to be upgraded to consulate general soon, adding that his country’s parliament has already approved the move. On Christmas Eve, Kurdistan Region Prime Minister, Nechirvan Barzani, spoke in Ainkawa district of Erbil, to a large audience, most of whom have fled the violent repression of the Islamic State terrorist organisation, known as ISIS, and took refuge in the Kurdistan Region. Today on this birthday of Jesus Christ, in many parts of the world thousands upon thousands of families and households gather. People offer Christmas greetings, exchange gifts, pray for peace and security for each other, for their community, and for humanity. They pray for the coming new year to bring life to their dreams and aspirations, and they pray also to help their friends and neighbours who may be unable to live the lives they wish. We also have the same dreams and hopes and prayers. This is the culture of the peaceful coexistence we live in Kurdistan, among all our people regardless of religion, sect, ethnicity, or language. The dream of all people in our country is to live together in peace and comfort. What distinguishes Kurdistan from other places in the region is our tolerance of all religions and ethnicities. This is our culture and it is our will. Sometimes I hear this is the will of God applicable to all who live in Kurdistan. Accepting differences, accepting each other, and defending each other’s rights are the basis on which we can all live a better life, especially during difficult times when it is needed most. The Kurdistan Region has become an example of peaceful coexistence, keeping safe those innocent people who fled attacks by ISIS. The security of each displaced person is a responsibility that falls on all our shoulders as a government, as nongovernment organizations, as civil societies, as political parties, and on every person in all our cities, towns, and villages. This year we have seen with our own eyes how all people who live in Kurdistan came together to help our dear Christians and Yezidis. Everyone sympathized and empathized with them. Those that could, helped those in need as much as they could. Some opened their homes to welcome displaced families. Christians are a fundamental, essential component of Kurdistan and Iraq. We shall continue to assist them and cater to their needs. During the past few days, after careful organisation and planning, we have seen how our brave Peshmerga were able to attack ISIS successfully and liberate Shingal Mountain and many of the villages and towns in that area. And also during the past few weeks, many Christian towns and villages have also been liberated by our Peshmerga. Following this summer’s tragic events in which Christians and Yezidis endured barbaric attacks from ISIS, they are happy to see their areas being liberated. This is evidence of the strength, capability, and commitment of the Government and the people of Kurdistan, and how they are all united. This reaffirms the promise of peaceful coexistence in Kurdistan. All religions are based on peace, cooperation, coexistence, and acceptance of each other. It is most unfortunate that, after attacks by ISIS and displacement of so many different religious groups from their villages and lands, mistrust has appeared and there has been a loss of our spirit of peaceful coexistence. This is a natural result of actions and attacks of the terrorists who are fighting against humanity and coexistence, and whose crimes do not adhere to any human principles, and are far from all religious and nonreligious beliefs. As a result of terrorist crimes we have been hearing there is strong demand to leave the country. We understand these feelings. We understand this feeling of hopelessness. At the same time, however, we do not forget the 1980s when a tragedy of similar proportion struck so many in Kurdistan during the horrific Baath attacks committed in the name of the Anfal verses of the Quran. But we did not leave our country. During those difficult times, few came to the rescue of the people of Kurdistan. If we had all fled abroad we would have lost our land. We would not have been able to rebuild our country, and we would now not be able to come to the rescue of anyone. Despite those difficulties, however, people from all religious and ethnic communities began rebuilding their lives, their homes and villages, including clearing of landmines. Trade resumed. Our natural springs began to flow again. Hope revived, and the birds returned to their nests. In this historic time I urge our beloved Christians, Yezidies, Shabaks, Turkmens, and all our communities to remain steadfast. The life of the enemy is short. They want to divide us by threatening our ethno-religious minorities in Kurdistan and Iraq and force them to leave their homelands. Our will to protect our country, our people and our native land, however, is stronger than the enemy’s threats. We should not leave our country for the enemy to take. Our dream to return to our homes and lands in the future must always remain stronger than the fears, threats, hunger, and poverty of today. The roots of Christians in our country are deep and go back thousands of years. They have been living next to other communities peacefully, and they have built our country together. This has nothing to do with numbers or figures or the ratio of their population. It has to do with their origins and their centuries of contribution in this region, their participation in building, peacefully coexisting with all others, and governing our country. They are among the oldest indigenous communities, and they are among the owners of this country. They are here and they can protect their current and earlier history. They are here in the lands of their ancestors where they can protect their customs and traditions better than in any other country. Fortunately, this time, the people of Kurdistan are not alone. As you know, many countries have come to the aid of Kurdistan. They share our resistance to terrorism and are firmly against ISIS. Earlier last summer we may have felt alone in front of terrorist threats and ISIS. But now our allies of the international coalition are supporting us with airstrikes which have helped our Peshmerga to liberate areas held by this force against humanity. Let us therefore mark today to renew our hopes for the return of all internally displaced people to their homes. Let us light a candle for the rebirth of our hopes, for a bright future, and for the return of peaceful coexistence of all religious and ethnic communities in Kurdistan and Iraq. Let us mark this day to remember the victims, and the resilience of our resistance, of freedom, and of peace for all of Kurdistan and its diverse communities. Finally, I would like to celebrate this birthday of Jesus Christ with the Patriarchs and clergy of all Christian communities in Kurdistan and Iraq. And through them I wish to celebrate this day of peace with all people and believers as well as all Christians in Kurdistan, Iraq, and the world. The Kurdistan Regional Government Representative to Spain, Daban Shadala, visited Catalonia in a bid to secure political support and humanitarian aid. His visit comes as part of his efforts to secure support from Spain’s autonomous regions. His visit to Catalonia began with a meeting with the General Coordinator of the Democratic Convergence of Catalonia, Josep Rull. Daban Shadala briefed him on the current situation in Kurdistan with regards to the fight against the terrorist group ISIS. He went on to inform Mr Rull about the current humanitarian crisis that is facing the region as a result of the ISIS onslaught, which saw the group take over large parts of Iraq and forced thousands to flee their homes. Mr Rull praised the efforts of the Kurdish Peshmerga Forces in their bravery and fight against ISIS. He applauded the Kurds’ efforts in defending democracy and the free world against an extremist ideology. He further stated that he would like to see an increase in political, economic and cultural cooperation between Kurdistan and Catalonia. Daban Shadala then went on to meet with the President of the Commission for Foreign Action, European Union & Cooperation of the Catalan parliament, Jordi Solè I Ferrando. Mr Solè expressed his desire to see greater collaboration between Kurdistan and Catalonia and stated that he was open to the idea of receiving parliamentary delegations from Kurdistan. Overall the visit to Catalonia was successful and both Josep Rull and Jordi Solè I Ferrando agreed to work with the KRG Spain office in the future in order to strengthen ties on a number of levels. They also expressed their gratitude to the Kurds fighting against ISIS and to the KRG for supporting such a large number of displaced people in spite of the limited resources at their disposal. At 1830hrs on 18 December 2014 Peshmerga forces successfully concluded their operation to break the Islamic State in Iraq and Syria (ISIS) siege against Mt. Sinjar. 8000 Peshmerga participated in the operation, which began at 0415hrs on 17 December with International Coalition airstrikes followed by a ground-based assault. This operation represents the single biggest military offensive against ISIS and the most successful. In addition to suffering heavy casualties, ISIS’ morale has suffered a devastating blow. ISIS fighters have been fleeing in large numbers towards the Syrian border and towards ISIS strongholds such as Tal ‘Afar and Mosul from where they being sent back to the front line by other ISIS members. In under 48 hours, Peshmerga forces have succeeded in retaking 700 square kilometres of ISIS-held territory between Zummar and Mt. Sinjar. This corridor, 70km wide and 10km deep, has enabled the Peshmerga to gain direct access to the displaced people trapped on Mt Sinjar, to provide humanitarian support and evacuation where necessary. 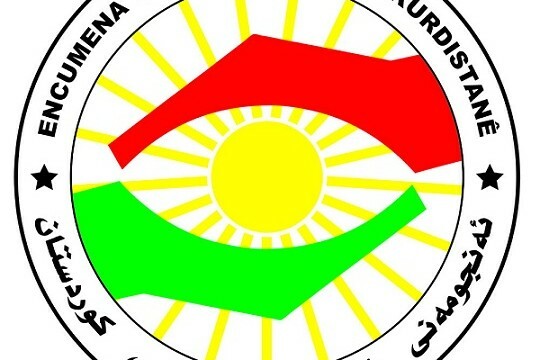 Added to the 1000 square kilometres captured from ISIS in the preceding series of offensives at AynFarras, Rabiah, Zummar, this recent success has enabled the Peshmerga to surround an additional 2100 square kilometres of ISIS-held territory. “This is a war that the Peshmerga is fighting on behalf of the world,” said Masrour Barzani, Chancellor of the Kurdistan Region Security Council (KRSC) “to protect the principles of democracy, co-existence and respect for human rights”. After easing almost a year of financial crisis and terrorism threat, the Kurdistan Region last week hosted the 10th Erbil International Fair attended by 250 companies from 16 countries. In the wake of initial agreement between Erbil and Baghdad to resolve oil export and budgetary issues, and of security advances to halt the ISIS threat, market confidence begins to regain and business continues to progress. Kurdistan Regional Government Minister of Trade and Industry, Samal Sardar, highlighted the importance of hosting the fair amid current circumstances. He said, “The participation of companies from foreign countries might not be at the level of previous years, but hosting the fair shows that business activities have not stopped and the Kurdistan Region’s security situation is very stable for business.” Minister Samal Sardar stressed that the Region’s economy continues to improve. The breakthrough agreement between Erbil and Baghdad on resolving outstanding issues has helped to resume and revive business activities in the Region. Representatives of private sector companies said the economic crisis and terrorist threats adversely affected their plans and caused suspension of some planed activities. However, the situation did not last long, as demonstrated by participation of international companies in various exhibitions. Mr. Saman Brifkani, Supervisor of Magic Art Advertising Agency told krg.org, “Despite some concerns by some companies there have been various exhibitions by big brands and companies in the Kurdistan Region including Land Rover, Range Rover and BMW in which they showcased their latest products. In addition, various French, American and British franchises in Erbil’s markets and malls have recently launched. “The breakthrough agreement between Erbil and Baghdad will strengthen trust and support increasing business activities”, he added. On the sidelines at the fair the Czech Republic Consul General to Erbil, Jaroslav Reif, and a delegation from his country’s ministry of trade and industry discussed their activities in the Region. The Czech Republic is among the active investors in the Kurdistan Region’s investment market and has long reiterated its interest to invest in the Region. Lebanon is among the countries that have not suspended their investment and business activities in the Kurdistan Region. He added that his group is one of the main exporters to the Kurdistan Region and they are working on finding an alternative route for bringing their goods to the Region through air cargo as most of the Syrian and Lebanon border is under the control of the Islamic State terrorist organisation, known as ISIS. In another development, Britain Business Group Kurdistan was launched on 10 December, 2014 to further collaboration between British companies and companies based in the Kurdistan Region. During the inaugural ceremony, Mr. Frank Baker, British Ambassador to Iraq, highlighted the Kurdistan Region as a stable and suitable environment for economic and trade activities. The Deputy Prime Minister (DPM) concluded a four-day visit to Washington on Thursday, December 11, 2014. The visit included numerous meetings with senior US administration officials and members of Congress, events at leading think tanks, a roundtable discussion with US business leaders, and interviews with several news agencies. In an opinion published in the Wall Street Journal, Mr Talabani laid out the challenges that Iraq will face in the future, calling for a return to the federalist structure of the Iraqi Constitution. He applauded the recent negotiations with Baghdad, but said that this is ‘Iraq’s last chance’ to succeed. Earlier this month the KRG reached an agreement with Baghdad to contribute 250,000 bpd of Kurdish oil and 300,000 bpd from the Kirkuk oilfields to the Iraqi central marketing authority in return for the disbursement of the KRG’s share of Iraqi federal oil revenues. The negotiations demonstrated a possible rapprochement in Erbil-Baghdad relations. ‘US airstrikes have succeeded in ending the expeditionary ventures of the Islamic State, forcing them to change tactics. However, defeating these terrorists will require greater cooperation between Kurdish, Iraqi, and international security forces,’ the DPM said at a meeting with Representative Devin Nunes. Rep. Nunes, the new Chairman of the House Select Committee on Intelligence, praised the Peshmerga for their efforts in combating ISIS and highlighted US-KRG cooperation at the Joint Operations Center in Erbil. Since August, the US and coalition forces have carried out hundreds of airstrikes on ISIS targets throughout Iraq. These efforts are coordinated largely through the Joint Operations Center where over 1,500 US military advisors work closely with the Peshmerga to identify and destroy terrorist positions. The DPM also met with other influential members of Congress including Senators John McCain, Dianne Feinstein, and Lindsey Graham, and Representatives Michael McCaul, Steny Hoyer, Dana Rohrabacher, and others. Mr Talabani conducted a number of meetings with US administration and defense officials at the Department of State, Pentagon, and White House. He updated the officials on the political, security, and humanitarian developments in the Kurdistan Region, and asked administration officials to continue to be supportive of the KRG’s efforts to resolve outstanding issues with Baghdad. The KRG Mission in Washington hosted a town hall meeting with DPM Talabani for the Kurdish-American community at the Hilton Garden Inn in Fairfax, Virginia. Mr Talabani delivered remarks and updates from the Kurdistan Region, and took questions from the audience for over two hours. He also thanked the community for their ongoing support for the 1.5 million displaced persons. Several organizations in the Washington area, including the KRG Mission, have organization financial and clothing donation drives to bring supplies to those in need. Due to the recent events in both Iraq and Kurdistan Region, marked by the threats of the Islamic State’s terrorist organisation, known as ISIS and withholding Kurdistan Region’s share from the federal budget and failure in paying the civil servants salaries by Baghdad, the Kurdistan Region has faced an economic crisis where the implementation of a large number of projects were suspended. Dara Khayat considered the agreement reached between KRG and Baghdad as a significant development, which will pave the way for resuming economic activities. Dubai Chamber of Commerce Erbil branch on 18 November, held a forum to discuss the economic situation in Kurdistan and the role of foreign investment particularly from the United Arab Emirates. The forum was attended by the Governor of Erbil, the Chairman of the Kurdistan Federation of Chambers of Commerce and Industry, the Head of Italian Consular Office in Erbil, the representative of Germany’s chamber of commerce, and a number of representatives of trade and business community. Regarding tourism sector, he said Kurdistan Region could benefit from this sector and receive four to five million tourists annually by implementing new projects. The Head of Italian Consular Office in Erbil, Carmelo Ficarra, said due to the security situation in Iraq and the Kurdistan Region and the area, his country had to defer holding two important exhibitions in the Kurdistan Region. He stressed that his country’s private sector is, enthusiastically, looking forward to resume its business activities in the Kurdistan Region. Rashid Al-Mansouri, the UAE Consul-General to Kurdistan Region, told the forum that “Kurdistan Region is a secure and stable region and has its own economic position. His country therefore plans to implement major projects in the Kurdistan Region”. Within three days of arrival in Baghdad, the Kurdistan Regional Government delegation headed by Prime Minister Nechirvan Barzani, concluded an agreement with the Federal Government of Iraq. Prior to leaving Baghdad, back to Erbil yesterday, Prime Minister Barzani spoke with the media about the meetings and results of the negotiations. Prime Minister Barzani explained details of the agreement, saying, “The current agreement is not the final agreement, but we believe it to be a good start. There are other issues we should discuss in the coming period and we hope to reach agreement on them, too. This is a good start for both sides and, hopefully, we will resolve all outstanding problems and obstacles within a period of six months or so. Regarding the agreement between the Kurdistan Region and Baghdad, Prime Minister Barzani explained, “The budget law is for one year. When we came from Erbil we knew that we will not resolve all issues in a meeting or two. We thought our visit called for a strategy to resolve the issues. We have now set the strategy. The agreement we have now concluded will open the door to settle all issues within six months to a year. “What is important is that we managed to implement two important things. First, the sanctions imposed in Iraq’s general budget law on the Kurdistan Region’s share of the national budget have been removed. Second, we have reached agreement on oil export, the Kurdistan Region’s budget, and the Peshmerga forces’ budget. While emphasizing that all differences cannot be solved in one visit or meeting, Prime Minister Barzani reiterated that the agreement concluded with Baghdad paves the way for resolving the issues within six months to one year. Regarding project loans and mortgages for citizens, Prime Minister Barzani reiterated his government’s commitment to continue support for loans and mortgages. Leading a high-ranking delegation, Kurdistan Regional Government Prime Minister Nechirvan Barzani, arrived in Baghdad yesterday morning. The delegation was received at Baghdad Internal Airport by the Federal Government of Iraq Deputy Prime Minister, Baha al-A’raji. Prime Minister Barzani and his delegation proceeded to the FGI headquarters where they were welcomed by Prime Minister Dr. Haider al-Abadi. Dr. al-Abadi expressed his pleasure for the visit and hoped it would lead to settlement of all outstanding issues. He said, “I do not think there are any unresolvable issues between Erbil and Baghdad. Iraq gathers us all together and if we do not reach agreement both sides would be harmed. The only path ahead of us is, therefore, to reach agreement”. Dr. al-Abadi said Iraq’s economy is in a bad situation, “the price of oil has fallen sharply and our citizens have many expectations from the government, adding to that the current military situation in the country. However, reaching agreement will pave the way and enable us to overcome all obstacles.” He expressed his optimism for reaching such agreement between Baghdad and Erbil. Thanking Dr. al-Abadi for the warm reception, Prime Minister Barzani said, “I am happy to see you here again and we do not want our visit to Baghdad to make headlines, but to be seen as something normal”. Prime Minster Barzani congratulated Dr. al-Abadi on his election as Iraq’s new prime minister and said, “With the start of your administration, the issues will move towards settlement. We do not want to talk about who was responsible for the deterioration of the relations between Erbil and Baghdad, but there are signals indicating your nomination will open up a new page for all of Iraq. Prime Minster Barzani also said the issues could not be solved overnight and expressed his readiness to visit Baghdad whenever needed in order to reach a final agreement. He stressed that a strategy is needed for resolving the issues. The two sides also discussed the latest situation in the fight against the Islamic State terrorist organisation, also known as ISIS. 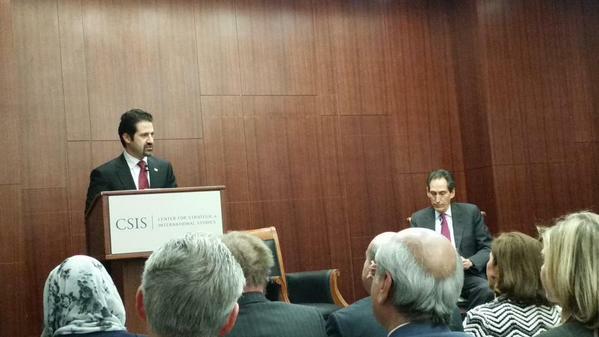 Prime Minister Barzani noted that ISIS is a threat to the country and the entire region. He highlighted the economic and financial crisis has created a major challenge and the fight against ISIS has deepened the crisis for both Erbil and Baghdad. He expressed his readiness to offer all necessary cooperation and coordination in the fight against terrorism. The two sides also discussed the situation in ISIS-held territories and the plans to liberate them. The cooperation between the Kurdistan Region, Baghdad, and the allied forces was another topic discussed in the meeting.